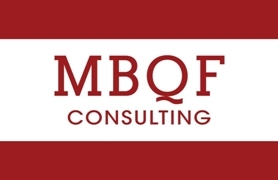 (Phoenix, AZ) — MBQF, a public opinion survey consulting firm, announced today the results of a recent public opinion survey conducted on March 24, 2016. Results from the automated survey show likely Maricopa County voters who responded “Yes” to having attended an Arizona Diamondbacks game within the last 2 years. MoE of ± 5.59 and 407 total respondents. In your opinion, when you were there, what would you judge the condition of the stadium? The Arizona Diamondbacks are requesting 200 million dollar upgrade for deferred maintenance and upgrades to the stadium. As a Maricopa County taxpayer, would you support spending tax dollars for this? (Phoenix, AZ) — Only adults 21 and over should be able to buy tobacco products, according to a new poll of Maricopa County voters. Of the 584 respondents to a poll conducted Dec. 29 by MBQF Consulting and Marson Media, 72 percent said they support increasing the age to buy tobacco from 18 to 21. Just 28 percent oppose the move. The poll also found Maricopa County voters prefer the Arizona Coyotes remain in Glendale, 55-45. And finally, Maricopa County approve of Indian tribes opening Las Vegas-style casinos off traditional reservation land by a margin of 45-39. Despite spotty attendance performance throughout its years in Glendale, voters don’t support moving the Arizona Coyotes to a downtown Phoenix or East Valley location, the poll found. The team has said it will explore a move to a new arena downtown or could build an arena on the Salt River Pima Indian Community near Scottsdale. “The Coyotes are locked in a battle with Glendale but voters actually prefer the team stays in the Gila River Arena,” said Mike Noble, CEO of MBQF Consulting. As for Indian gaming, county voters appear OK with tribes opening casinos off of traditional reservation land. The Tohono O’odham recently opened a casino near Glendale though it lacks table games like blackjack that are at other casinos. “Voters don’t mind Indian casinos in the metropolitan area even if they are operated by tribes far away,” Marson said. In the automated telephonic non-partisan survey of 584 high efficacy voters, conducted on December 29, the survey calculates a 4.06% theoretical margin of error, plus or minus in percentage points. For more information about this survey, or a summary of topline data and wording, please contact Mike Noble or Barrett Marson. PHOENIX (July 24, 2012) – Leah Campos Schandlbauer today announced that former Arizona State University Quarterback Andrew Walter has endorsed her campaign for Arizona’s 9th District. Walter also played in the NFL for the Oakland Raiders and New England Patriots. “I am endorsing Leah because she’s a proven leader who has served our country with honor and distinction in the CIA. She has shown the capacity to remain calm and think clearly in high-pressure situations. Plus, her roots are grounded in the same community she seeks to represent,” Walter said. “It’s clear Leah possesses an unparalleled understanding of both the foreign policy and economic challenges facing our country today – as well as their solutions. In Congress, Leah will defend our free enterprise system and work to balance the budget. She has been endorsed by Citizens United Conservative Victory Fund, U.S. Representative Trey Gowdy (R-SC), and U.S. Representative Sean Duffy (R-WI). Congressional District 9 is a new seat that includes all of Tempe and Awhatukee along with parts of Phoenix, Mesa, Scottsdale and Chandler. Leah served for more than a decade around the world as an operations officer for the CIA’s National Clandestine Service. Leah is a graduate of Arizona State University and attended Rhodes Junior High School in Mesa and Chandler Seton Catholic High School. Leah and her husband, Alfred, a Foreign Service officer with the U.S. Department of State, have four children. A lifelong conservative and strong believer in the principles of economic liberty and limited government, Leah will be a voice and vote for freedom in Congress. For more information, visit: www.leahforcongress.com. GLENDALE, ARIZ (January 24, 2012) – City of Glendale mayoral candidate Walt Opaska calls on Mayor Scruggs and the City Council to plan for the possibility that if the Coyotes leave Glendale. Major Scruggs and City Council must start a process to find a company to manage Jobing.com arena if the Coyotes leave Glendale. “While Glendale should try to keep the Coyotes in Glendale in a way that does not bankrupt the City, Glendale needs to plan for all eventualities. Mayor Scruggs and the City Council are neglecting their duties to the citizens of Glendale by not planning for possibility that the Coyotes leave Glendale,” stated Walt Opaska. To learn more about Walt Opaska, please visit www.opaskaformayor.com. Walt Opaska is the only mayoral candidate consistently opposed to taxpayer subsidies for the Coyotes. HB2042 has an emergency clause. If two thirds of the Legislature in both the House and the Senate support the bill and the Governor signs it, the bill will go into effect immediately and in time for the next annual Pat’s Run on April 21, 2012. City of Mesa throws Cubs a softball – will taxpayers cry foul? Mesa pitched a softball to the Chicago Cubs baseball team, and the Cubs hit it out of the park – but taxpayers should cry foul. Under a new contract, the city will shell out $84 million to build a sparkling new stadium for Cubs spring training. The city promised an additional $15 million for parking, power lines, and other infrastructure, on top of costs for maintenance and capital improvements for 30 years. The Cubs, on the other hand, will pay around $130,000 annually to the city in rent ($4 million over 30 years). At that rate, it will take literally hundreds of years for the city to break even on its investment. The city must demand more from the Cubs. Framers of the Arizona Constitution wisely adopted a Gift Clause to ban governments from subsidizing private businesses at the taxpayer’s expense. Mesa’s new stadium deal appears to violate that clause by building a multi-million dollar stadium for the Cubs without requiring the team to return a roughly equal benefit. When voters authorized public spending for Major League Baseball in Mesa, they didn’t vote away the Constitution. City officials were required to secure a guarantee of direct public benefits from the Cubs in exchange for the city’s $100+ million investment – but $4 million rent doesn’t cut it. There are no guarantees of jobs or tax revenues, and the Cubs can leave with few penalties. Early in the process, the Goldwater Institute met with city officials, recommending ways to keep the Cubs without violating the constitution. Regrettably, the city adopted none of our suggestions. Cubbie spring training in Arizona, with all its rich history and tradition, may be intrinsically priceless to some (including yours truly). But the constitution requires a commitment to provide direct, quantifiable value to the public. If the Cubs are confident that they can make the city’s $100 million stadium worth it, then the city should demand that the team step up to the plate and promise performance. Carrie Ann Sitren is an attorney with the Goldwater Institute’s Scharf-Norton Center for Constitutional Litigation. “I was thrilled to learn that NFL owners today awarded the 49th Super Bowl to the great State of Arizona – marking the third time the Phoenix area has hosted the championship game and the second time it will be played in Glendale’s beautiful University of Phoenix Stadium. I want to thank the Arizona Super Bowl Host Committee for all of its fine work and, of course, NFL owners who’ve given the state this honor. “The Super Bowl is indisputably one of the world’s premier sporting events – and an economic boon to any state fortunate enough to play host. In 2008, the last time the Super Bowl was played in Glendale, football fans generated upwards of $500 million in economic impact for Arizona. Glendale Mayor Elaine Scruggs discusses the city’s challenging effort to keep the Phoenix Coyotes hockey team stationed in Glendale.